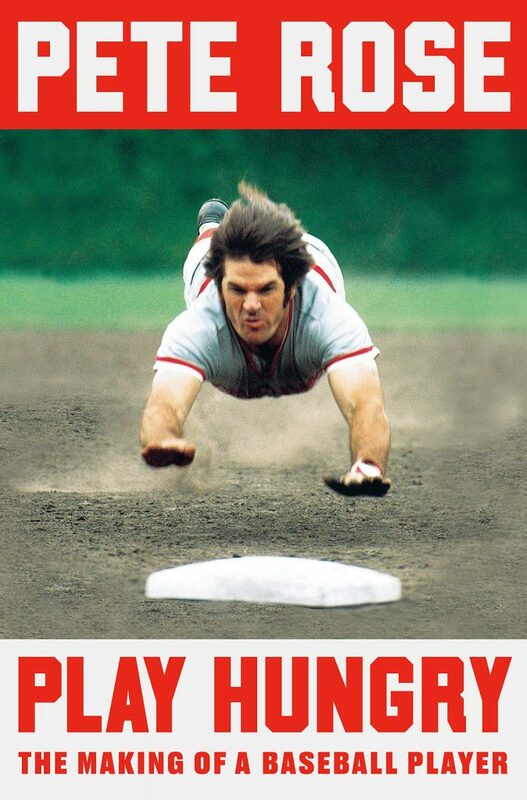 Pete Rose, baseball legend, will be signing copies of “Play Hungry” in NY and NJ during June. Pete Rose grew up in Cincinnati and went on to star for the hometown Reds and later the Philadelphia Phillies. He holds the all-time baseball records for most hits in a career (4,256), most singles (3,215), most games played (3,562), most at-bats (14,053), and most outs (10,328). Rose made his major-league debut for the Reds in April 1963, a week before his twenty-second birthday, and he was forty-five when he made his last major-league appearance in August 1986, also for the Reds. He appeared in seventeen different All-Star Games, and played on three teams that won the World Series. Pete Rose was a legend on the field. As baseball’s Hit King, he shattered records that were thought to be unbreakable. And during the 1970s, he was the leader of the Big Red Machine, the Cincinnati Reds team that dominated the game. But he’s also the greatest player who may never enter the Hall of Fame because of his lifetime ban from the sport. Perhaps no other ballplayer’s story is so representative of the triumphs and tragedies of our national pastime. In Play Hungry, Rose tells us the story of how, through hard work and sheer will, he became one of the unlikeliest stars of the game. Guided by the dad he idolized, a local sports hero, Pete learned to play hard and always focus on winning. But even with his dad’s guidance, Pete was cut from his team as a teenager—he wasn’t a natural. Rose was determined, though, and never would be satisfied with anything less than success. His relentless hustle and headfirst style would help him overcome his limitations, leading him to one of the most exciting and brash careers in the history of the sport. Play Hungry is Pete Rose’s love letter to the game, and an unvarnished story of life on the diamond. One of the icons of a golden age in baseball, he describes just what it was like to hit (or try to hit) a Bob Gibson fastball or a Gaylord Perry spitball, what happened in that infamous collision at home plate during the 1970 All-Star Game, and what it felt like to topple Ty Cobb’s hit record. And he speaks to how he let down his fans, his teammates, and the memory of his dad when he gambled on baseball, breaking the rules of a sport that he loved more than anything else. Told with candor and wry humor—including tales he’s never told before—Rose’s memoir is his final word on the glories and controversies of his life, and, ultimately, a master class in how to succeed when the odds are stacked against you.